Was she overly tanned in this? 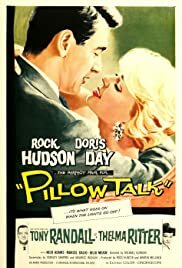 Your favorite lines of dialogue from Pillow Talk? How did she walk in that white cocktail dress?! The fertility goddess in the shop? Rock, one of the most underrate actors in the history of Entertainment.